Framed by the ocean and Table Mountain, the elegance and luxury of the Victoria & Alfred Hotel is rivalled only by its relaxed atmosphere and warm personal service. Located in the historic 1904 North Quay Warehouse, this privately owned hotel is renowned for the highest international standards. 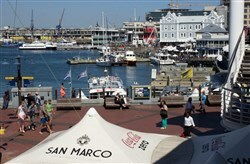 Its idyllic setting in the heart of the beautifully restored Waterfront affords it spectacular views of Table Mountain and the working harbour whilst its convenient proximity to a vast selection of tourist attractions, shops, restaurants, Cape Town City Centre, the Atlantic coastal playground and the winelands is another attractive feature. 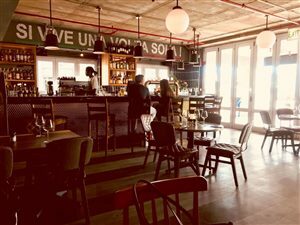 The warm informal personality of the Hotel, the attention to detail and the friendly caring atmosphere created by management and staff, are responsible for the V & A being a definite favourite amongst international visitors. The luxurious interiors of all 68 bedrooms complemented by elegant decor, along with all the modern essentials required by International travellers, ensure that guests will feel comfortably at home. The Forum Conference Centre delivers a host of social and business events with the seemingly effortless ease and class that has become expected from Cape Town's favourite hotel, catering for up to 200 guests. 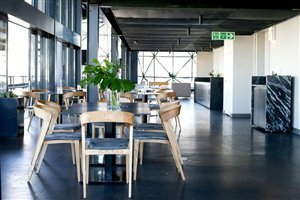 Dining at the hotel's award winning restaurant, the Waterfront Caf�, overlooking the cobbled quayside and the harbour is reminiscent of a meal in a Southern European coastal village. The stylish warmth of the restaurant is reflected in every meal served, whether it be breakfast, lunch or dinner. Breakfast is a relaxed affair, aptly complemented by the gentle morning sunshine, which floods into the restaurant. Lunch presents a choice selection of crisp salads and light, innovative dishes. As the sun begins to set, fishing boats unload their daily catch of fresh linefish while cocktails are served on the terrace. Dinner is a more notable occasion and allows the discerning client a universally welcoming selection of modern, international cuisine, providing a thoroughly enjoyable experience. To be a guest of the Victoria & Alfred Hotel is to experience the essence of all that is good in the Cape. 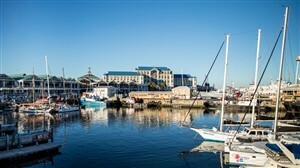 Ultra large superior room overlooking working harbour and Table Mountain. King or twin bedded rooms available. 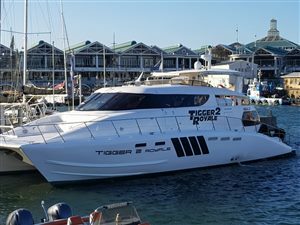 Ultra large superior room overlooking vibrant Waterfront Development. King or twin bedded rooms available.